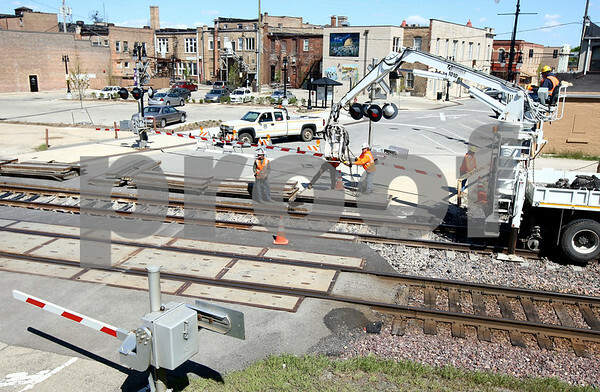 Work is done at the railroad tracks on Second Street in in DeKalb, Ill. Both First and Second Streets had portions closed near the tracks. Taken Monday, April 9, 2012.